The vision promises professional football and soccer games at a revamped stadium amid a bustling cluster of shops, cinemas, restaurants, condominiums, townhomes, and green space in central Ottawa. On Nov. 16, city council voted to bring the controversial plan for Lansdowne Park one step closer to reality. The vision promises professional football and soccer games at a revamped stadium amid a bustling cluster of shops, cinemas, restaurants, condominiums, townhomes and green space in central Ottawa. On Nov. 16, city council voted 19-5 to bring the controversial plan for Lansdowne Park one step closer to reality. Completion of a final review of financial projections, including an analysis by the office of the auditor general. Completion of transportation studies and plans to determine whether traffic and parking can be reasonably accommodated. Establishment of a strategic design review and advisory panel, which would develop a master site plan. Execution of an independent third-party peer review of the two conflicting studies from Ottawa Sports and Entertainment Group and the Bank Street BIA to determine whether the commercial plan is viable and how it will affect the existing Bank Street retail business community. Making a request for expressions of interest for the construction and operation of a trade and consumer show facility in Ottawa. Starting a competition for the design of the "front yard," including the Ottawa Farmers' Market, Horticultural Building and the Aberdeen Pavilion. It would include a detailed public consultation process with the National Capital Commission and Parks Canada. Assistance to the Central Canada Exhibition Association in completing the business and logistical plans necessary for a move to a new location on Albion Road after the exhibition in 2010. That means city staff will start negotiating the terms of the public/private partnership with the Ottawa Sports and Entertainment Group, the Ottawa businessmen that first proposed the plan. Staff are scheduled to report back to council in June 2010, at which point councillors will vote on the deal itself. In the meantime, staff must address a long list of remaining concerns about the plan, including its effect on traffic and the design of the public space. The Nov. 16 vote followed three days of debate and passionate speeches from both councillors and public delegations, and the proposal of more than a dozen amendments to the deal. Many Ottawa residents thought the stakes were high, as the Lansdowne Partnership Plan (also known as Lansdowne Live) would consume and transform a rare Ottawa resource — a 16-hectare plot of prime real estate owned collectively by Ottawa taxpayers. The first phase alone would cost $250 million, half of that taxpayer funded. The City of Ottawa would keep ownership of the land, and its private partner, the Ottawa Sports and Entertainment Group, would build, operate and maintain the site under a 30-year lease. The plan had deeply divided city council and residents. Proponents said it's about time something was done to take advantage of the property, which has often been described as "underutilized." They urged the city not to drag its feet any longer. Critics questioned whether the deal was a good one for the city and whether the vision was the right one for such a rare and important piece of public property. Lansdowne Park is a former agricultural fairground just south of downtown, in the Glebe, a neighbourhood where rows of boutique-style shops are flanked by tree-lined streets of single-family homes. The property is bounded by busy Bank Street to the west and faces the Rideau Canal to the south, and still hosts sports events of all sizes, including Ontario Hockey League games and last year's World Junior Hockey championships, as well as trade shows and the annual SuperEx (Central Canada Exhibition) fair. It is home as well to the popular Ottawa Farmer's Market in the summer. 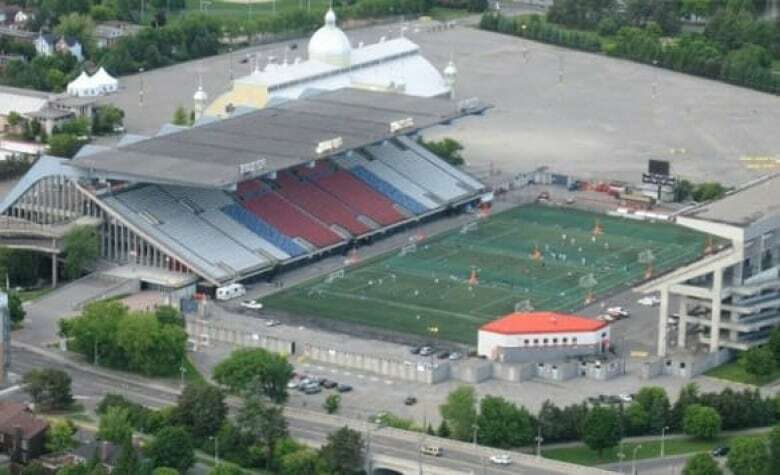 Frank Clair Stadium, former home of the Ottawa Rough Riders and Ottawa Renegades football teams until 2006. The Ottawa Civic Centre, built in 1967, which includes a hockey arena, a theatre and assembly and exhibition halls for events ranging from trade shows to weddings. The Aberdeen Pavilion, the Coliseum and the Horticulture building, built between 1898 to 1914 to host events such as agricultural fairs. In September 2007, cracks were discovered in the lower south side stands at Frank Clair during a routine inspection — just months after they supported thousands of crowds during sold-out games at the FIFA U-20 World Cup. A decision was made to demolish the stands in the interest of public safety. That soon spurred public discussions about the future of the Lansdowne Park itself. In September 2007, cracks were discovered in the lower south side stands at Frank Clair stadium during a routine inspection. ((CBC))Soon after the stadium cracks were found, Mayor Larry O'Brien told the media a group "high-quality" and "deep-pocketed" Ottawa business people were interested in a bringing a Canadian Football League franchise back to the city. Sure enough, in October, O'Brien held a news conference with Jeff Hunt, owner of the Ottawa 67s junior hockey team, to announce such a plan. Hunt also wanted to build a new stadium and privately funded developments at Lansdowne Park. Five months later, in March 2008, the CFL awarded a conditional expansion franchise to Hunt's group. The new team could start to play as early as 2010. The one condition was that the group would have to hammer out a lease agreement with the city for a suitable, revamped stadium. At that point, the city had already launched public consultations and opened an international design competition, seeking new visions for Lansdowne Park. Bob Brocklebank, president of the Glebe Community Association, urged the city to stick with the process. In May, however, city staff recommended that the competition be suspended in anticipation of a more detailed plan from Hunt's group. A 200,000 square-foot retail and restaurant complex that would replace the Coliseum building. An aquarium in the Aberdeen Pavilion. A 2,000 square-foot outdoor amphitheatre. A refurbished arena and exhibition hall and an upgraded sports stadium. A hotel and a row of townhouses. At the time, Greenberg, CEO of Minto Developments, said he hoped the city would make up its mind about the plan by March 2009, when the group's conditional CFL franchise was set to expire. Since then, the CFL has extended the deadline multiple times to accommodate Hunt's group and their negotiations with the city. The Lansdowne Live group also announced in September 2009 that they had applied for a second professional sports team — a United Soccer Leagues First Division (USL-1) franchise. Critics of Lansdowne Live, including a group of local architects and Clive Doucet, city councillor for the ward that includes Lansdowne Park, slammed the city for taking an unsolicited bid instead putting the redevelopment of the park up for public tender. The city's auditor general was asked to look into whether it was legal for the city to accept the proposal under its purchasing bylaw. In November 2009, he concluded that the bylaw had not been violated. Meanwhile, city council voted in November 2008 to consider the Lansdowne Live plan and not any others until the new year. At the time, Mayor O'Brien said the design competition was a "total waste of taxpayers' money" and the Lansdowne Live plan was a "very good proposal" from "very, very good business people with long ties to the City of Ottawa." The Lansdowne Partnership Plan included condo towers, restaurants in the Aberdeen Pavilion, and a permanent home for the Ottawa Farmers' Market in front of the pavilion. In the spring, councillors voted to move ahead begin negotiations with the Ottawa Sports and Entertainment Group. 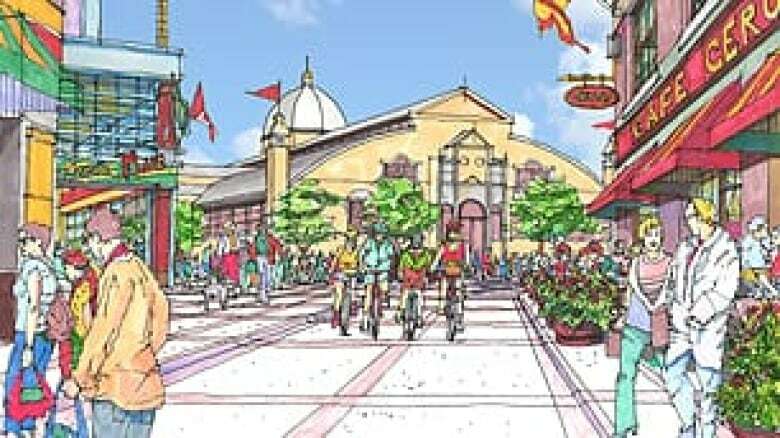 Four months later, they unveiled the result, a revised proposal called the Lansdowne Partnership Plan, accompanied by a series of colourful, fanciful ink sketches. In them, the iconic Aberdeen Pavilion could be seen at the end of a street lined with a glassy, low-rise shopping complex adorned with flags and banners. Pedestrians strolled between market stalls. 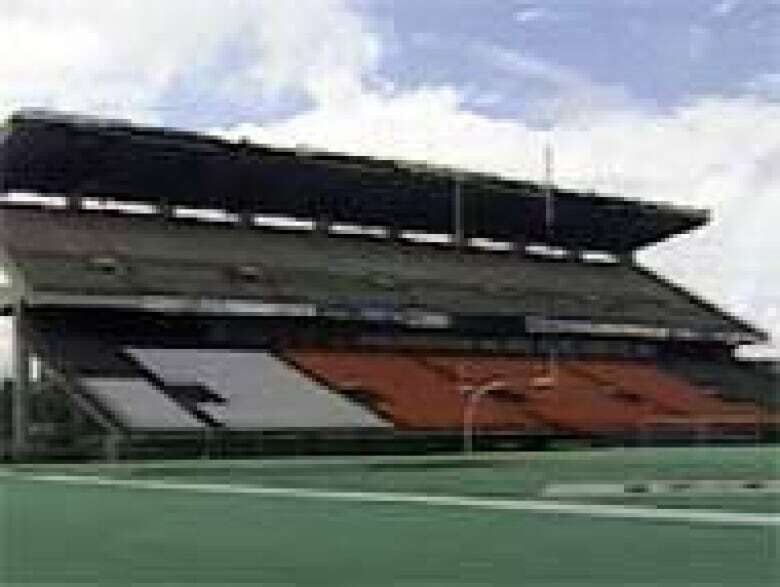 Crowds filled the stands of a stadium during a football game. Boats sailed along the Rideau Canal past the triplet jets of a fountain and a grassy area shaded by groves of trees. Two five-storey condo towers and a townhouse development. Restaurants in the Aberdeen Pavilion. A permanent home for the Ottawa Farmers Market in front of the pavilion. The relocation the Horticulture building and its conversion into an indoor market. Underground parking for 1,200 vehicles. The city launched a series of open houses and online consultations on the plan in September. Some people were enthusiastic about the plan. Coun. Rick Chiarelli described it as "so much better than something that I thought was good in the first place." A public survey by Nanos Research found wide support for the expanded green space and a permanent farmer's market, though there was less support for the hotel, cinemas and office space. Many business owners in the nearby Glebe and Old Ottawa South neighbourhoods were vocally opposed to the amount of space devoted to shops, restaurants and a movie theatre, fearing increased competition and traffic could hurt them. A study commissioned by the Glebe Business Improvement Area predicted as much. Confusing matters, a separate study commissioned by the Ottawa Sports and Entertainment Group found the development would be mostly good for local businesses. Days before November's council vote, the Ottawa Sports and Entertainment Group indicated it would scale back the amount of space devoted to shops, restaurants and offices. Following the vote, one of city staff's tasks is to review the two studies and figure out what the real effect of the plan on local businesses would be. They must also look into the plan's likely effect on traffic, transportation and parking. Meanwhile, some people worried that Ottawa trade shows and exhibitions would find themselves homeless under the new plan, which doesn't include space for them at Lansdowne. Under the conditions of council's approval in November, city staff must ask for expressions of interest from companies interested in building a trade and consumer show facility. They must also help the Central Canada Exhibition move to its new home on Albion Road. In the end, a motion from Coun. Peter Hume also got urban designers back involved and reopened a design competition for the public spaces at the site, including the Ottawa Farmers' Market, the Horticultural Building and the Aberdeen Pavilion. A strategic design review and advisory panel would develop a master site plan and one of its jobs would be to design the retail space. Finally, before the deal goes back to council in June, city staff, including staff from the office of the auditor general, will conduct a review of financial projections.